Many real world systems can be modeled as networks or graphs. Clustering algorithms that help us to organize and understand these networks are usually referred to as, graph based clustering algorithms. Many algorithms exist in the literature for clustering network data. Evaluating the quality of these clustering algorithms is an important task addressed by different researchers. An important ingredient of evaluating these clustering techniques is the node-edge density of a cluster. In this paper, we argue that evaluation methods based on density are heavily biased to networks having dense components, such as social networks, but are not well suited for data sets with other network topologies where the nodes are not densely connected. Example of such data sets are the transportation and Internet networks. We justify our hypothesis by presenting examples from real world data sets. 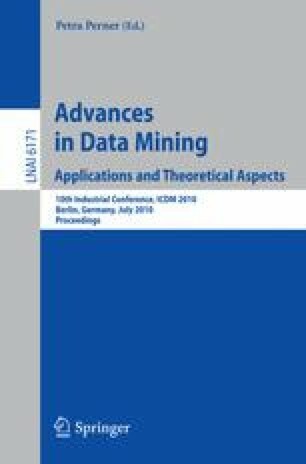 We present a new metric to evaluate the quality of a clustering algorithm to overcome the limitations of existing cluster evaluation techniques. This new metric is based on the path length of the elements of a cluster and avoids judging the quality based on cluster density. We show the effectiveness of the proposed metric by comparing its results with other existing evaluation methods on artificially generated and real world data sets.